I’ve already written about my top two pencils— the Stabilo 8008 Graphite and the Palomino Blackwing Pearl— but lately a third pencil has been sneaking into my line-up more and more often. The Musgrave Test Scoring 100 pencil pops up quite often in Twitter discussions, as well as in the Erasable Podcast where it was recently the “Pencil Of the Week” (meaning that it was used by Johnny, Tim, and Andy for the course of one week, not that it was necessarily their favorite pencil). Because of the Twitter chatter and a blog post here and there, I ordered myself a pack from Pencils.com and have been using them for awhile now, both at home and at work. 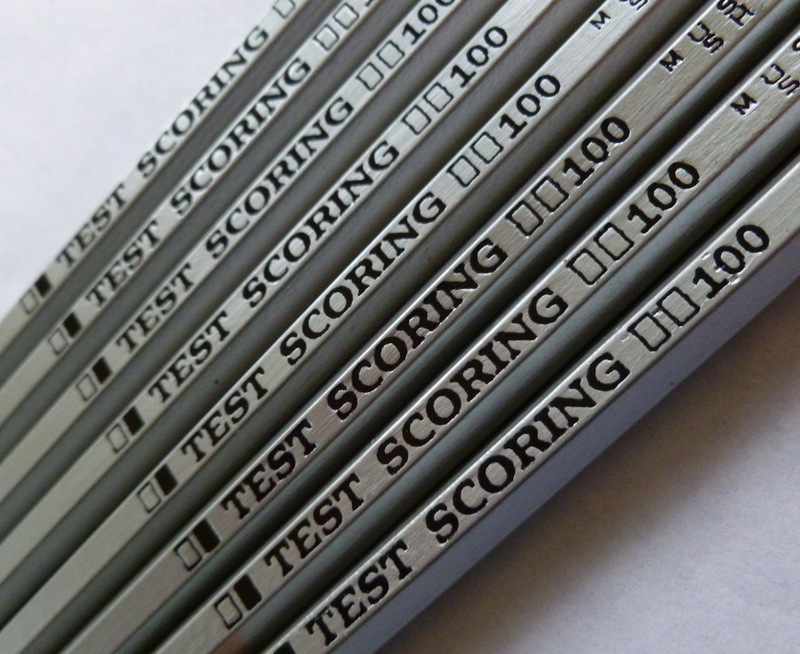 The Musgrave Test Scoring 100 is currently resting solidly in one of the top spots in my pencil arsenal. Going by appearance only, it’s a bit of an unlikely candidate. 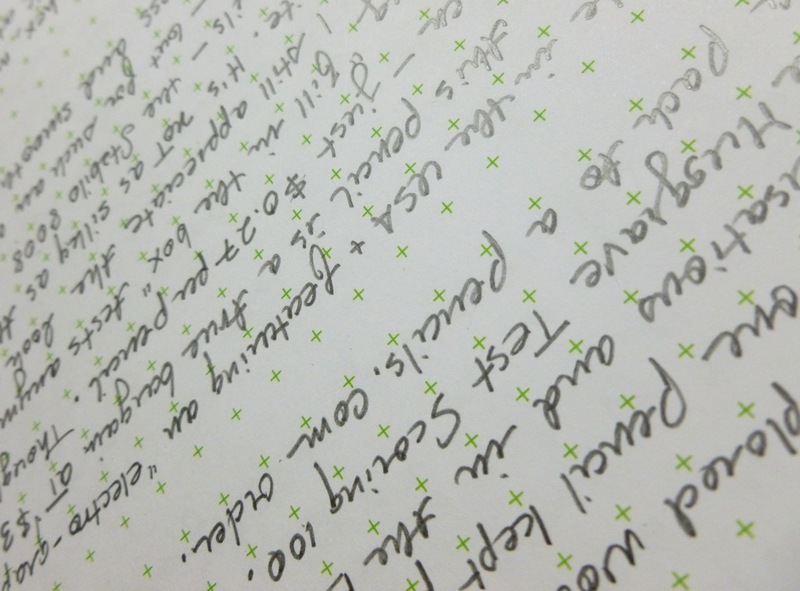 While my Palomino and Stabilo favorites are thickly and evenly lacquered, the silver paint on the Musgrave TS 100 appears to be thin and a little bit uneven. I think Tim Wasem noted that you can almost see the brush strokes, and I have to agree. The branding features a font that would look right at home on a mimeographed (yes, I’m old) test paper. The letters wiggle a bit and are not as polished or perfect as the rock-solid branding on the Palomino or the Stabilo. But you know what? I don’t care. 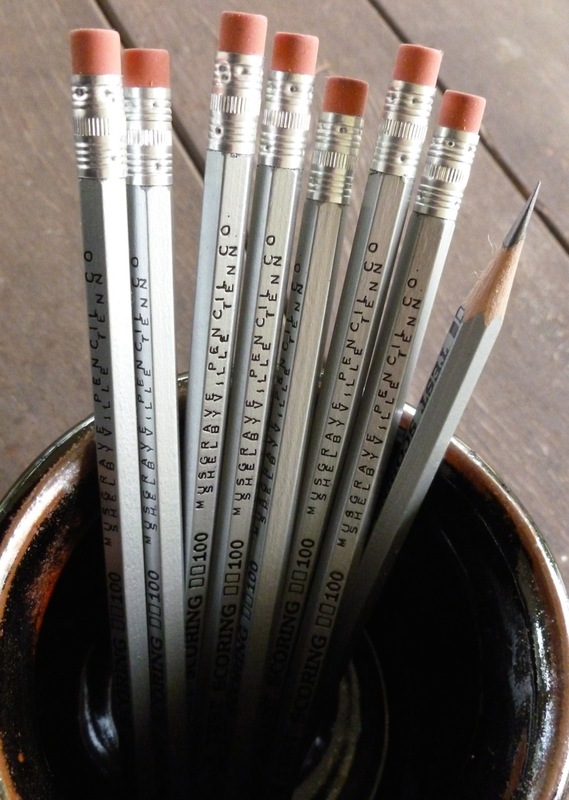 The pencil body is full-hex, meaning that the edges aren’t rounded off and feel more pronounced— maybe even severe— compared to a semi-hex or rounded pencil. Personally, I enjoy the edges because they give the Musgrave TS 100 an old-school feel— like you’re REALLY using a pencil. Maybe they’re meant to keep you awake while you’re taking a test or to make it easy to distinguish the TS 100 from the herd of other pencils in your pencil cup or to keep it from rolling off of a desk. In any case, I find the feel of the distinct facets to be…well…distinctive, not annoying. Granted, I tend to use pencils in fairly short bursts so I’m not looking for long-lasting comfort. 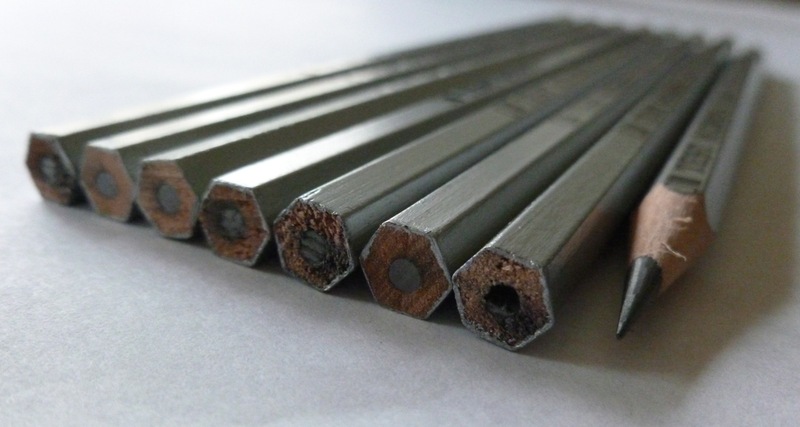 Made in the USA, and featuring what is described as an “electro-graphite” core (which is supposedly picked up better by test scanning machines), this pencil is a true bargain at $3.25 per dozen— just $0.27 per pencil. Though I’m no longer taking “fill in the bubble” tests anymore— thank god— I still appreciate the look and feel of the graphite. 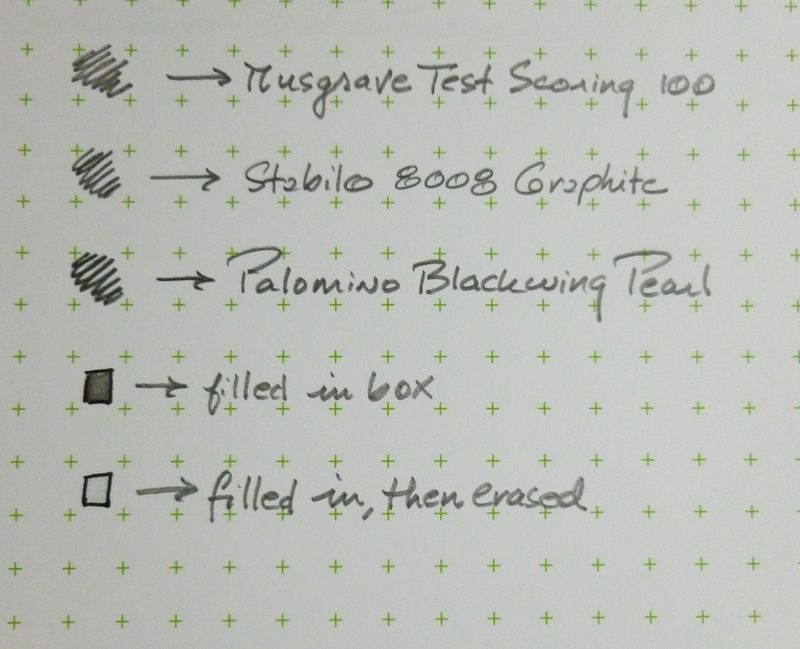 Though not as silky or creamy as the graphite in my top two pencils— the Stabilo 8008 and Palomino Blackwing Pearl (my true love)— the darkness and smoothness of the TS 100’s graphite is a bit of a surprise. In fact, I feel like the smoothness improves as the pencil wears down, though it’s entirely possible that I’m imagining that. Point retention is decent. I’m not running to the sharpener very 5 seconds (as I can be prone to do). Again we learn the lesson, don’t judge a book by its cover— or a pencil by its paint job or price. The eraser does a decent job, too. Though a black eraser would look pretty cool, this one is unabashedly pink— again adding to that old school look. 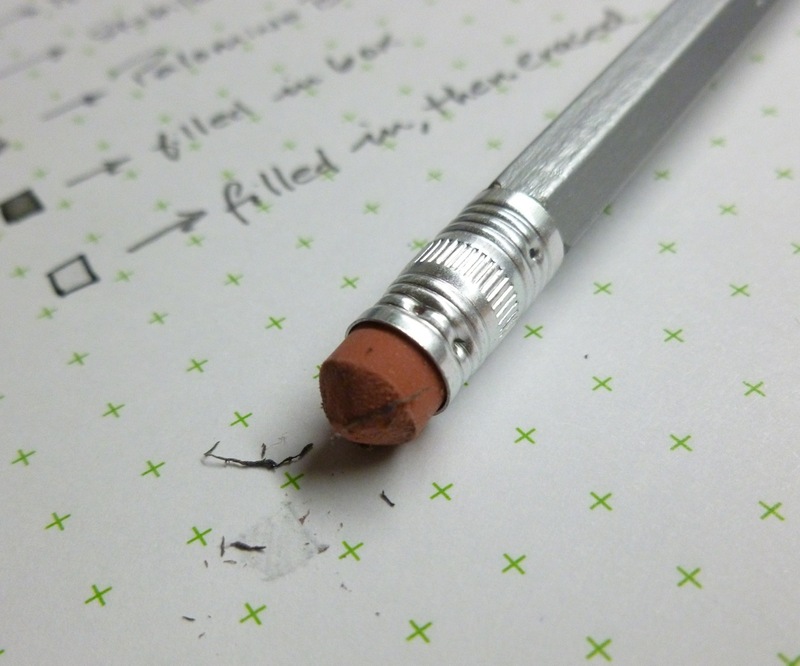 Erasing is quite clean and the eraser “debris” is more strand-like than crumbly. The eraser wears pretty easily, but still I run out of pencil before eraser. 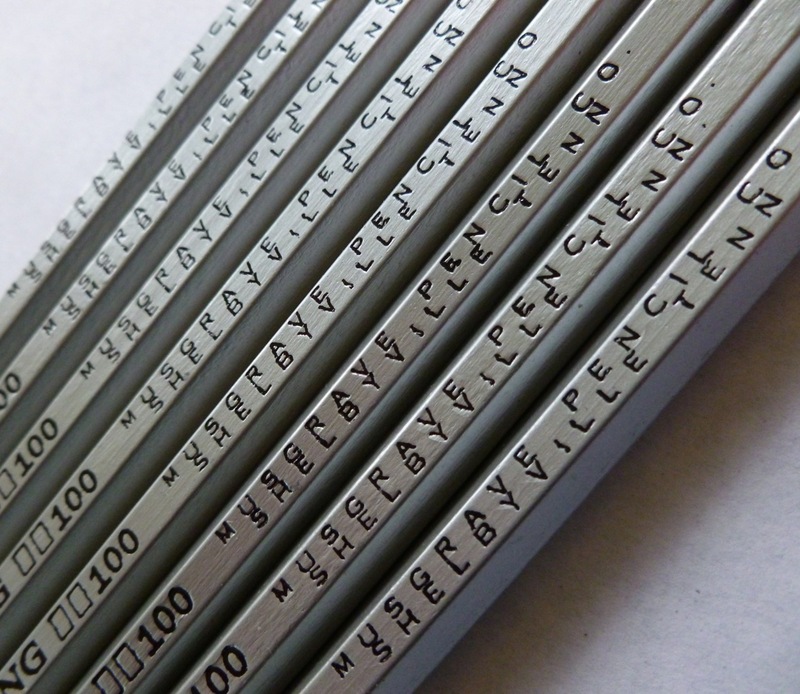 The ferrules are secure and look sharp against the pencil’s cool silver finish. This isn’t a perfect pencil. The finish is basic but adequate. One of the cores in my pencils showed a slight flaw— a bit of a “cavity”— though it sharpened just fine. The branding is decidedly low-tech looking. The full hex body may annoy those who write for hours. Despite those flaws, and maybe even because of them, the Musgrave Test Scoring 100 pencil has captured my pencil-loving heart. It’s not trying to be something it isn’t. It’s like a pair of broken-in jeans and a favorite t-shirt— ready for work. And the price? Well, what’s not to love?! If I was paying a premium price, the minor flaws I’ve described might annoy me, but given the excellent performance of the graphite, I can’t help but reach for this pencil, sometimes over my top two favorites. There’s just something about that hex. 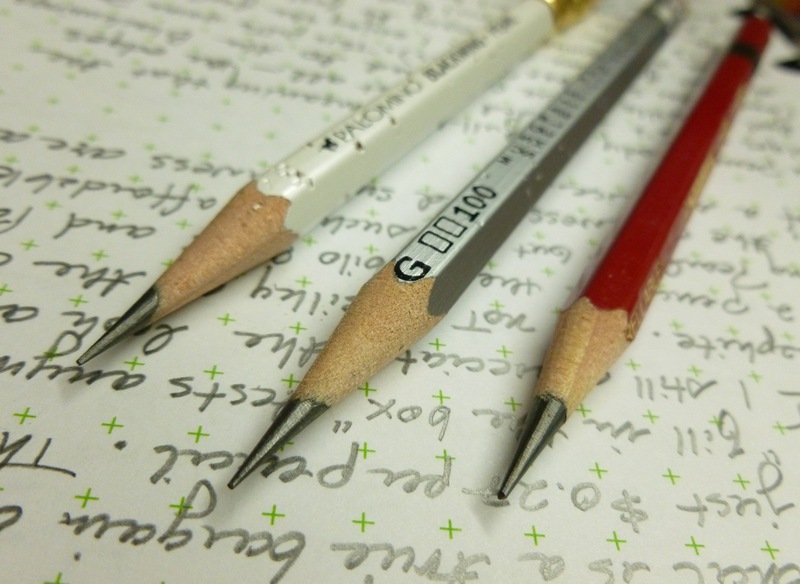 The Musgrave Test Scoring 100 pencil sits solidly in the #3 spot on my “favorite pencils” list. Considering the competition, that’s high praise. Very high praise. 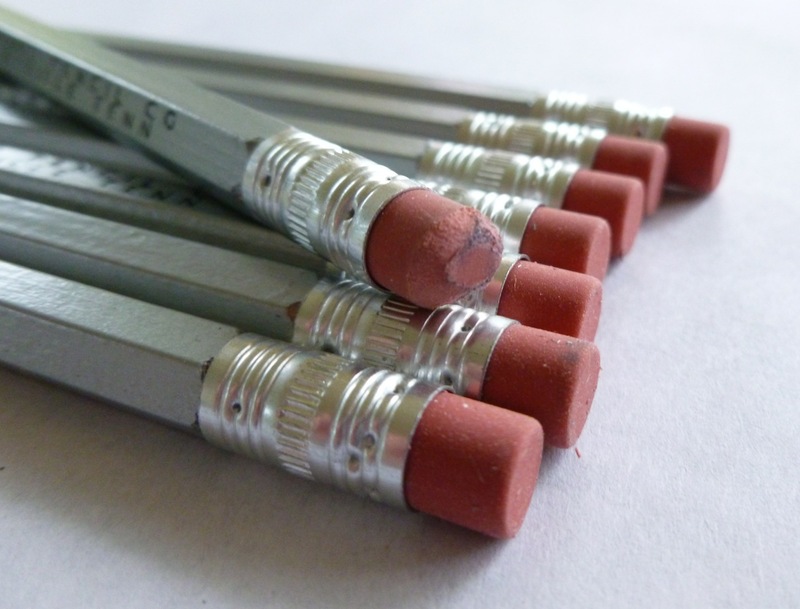 This is a pencil that is, to me, imperfectly perfect.